This season, Scentsy launched a Warmer unlike anything we’ve done before: Make a Scene. 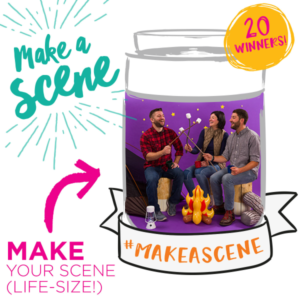 To celebrate our new Make A Scene DIY Scentsy Warmer and the miniature scenes you can create within it, send us your LIFE-SIZE scenes for a chance to win your own Make a SceneWarmer! For ideas and inspiration, click here! Be sure to submit your entry by 11:59 p.m. (MT) Sept 21, 2016! The Make a Scene giveaway is only available to Consultants and fans in the U.S.